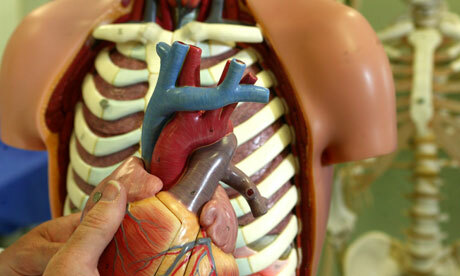 Anatomically speaking, the human heart is a muscular and hollow organ circulates blood throughout the body. 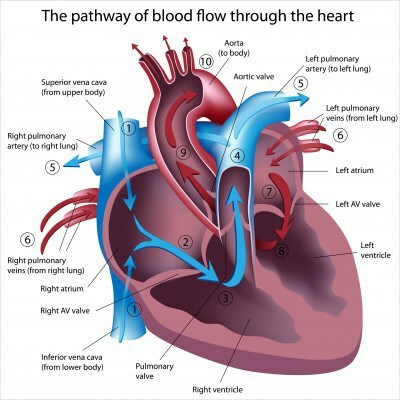 The heart, together with the blood vessels and the blood makes up an average human circulatory system, which is chiefly in charge of delivering nutrients and oxygen to different parts of the body and carry waste products such as carbon dioxide and lactic acid away from cells to be exhaled via the lungs from the body. The shape of the human heart looks similar to an upside down pear and is slightly positioned to the left of center inside the chest cavity. The vital organ is about the size of a closed fist. It is made chiefly of muscle tissue that contracts according to a specific rhythm to send adequate amounts of blood to all parts of the human body. These rhythmic contractions typically start in the developing embryo around 3 or 4 weeks after conception and persist throughout a person’s life. The cardiac muscles only rest for about a fraction of a second in between beats. 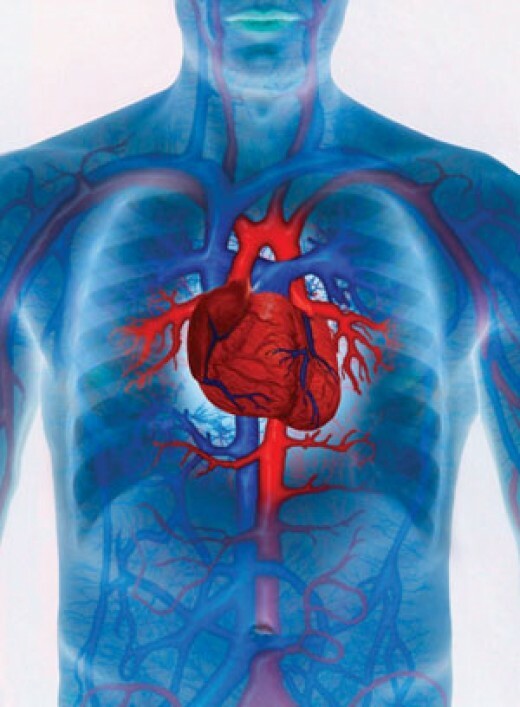 Over an average human life span of 76 years, the heart will beat at least 2.8 billion times and circulate around 179 million quarts of 169 million liters of blood around the human body. The heart is the circulatory system’s power house. It must beat continuously as the body’s tissues, particularly the brain and the heart itself necessitates a constant and unceasing supply of nutrients and oxygen that is delivered by the circulating blood. If the heart stops in pumping blood even for a few seconds, death may ultimately and inevitably result. The heart’s role and duties are much wider than simply delivering blood persistently throughout the span of an individual’s life. The heart must also react properly to changes and shifts in the body’s oxygen requirements. The heart functions very differently during sleep than in performing strenuous activities such as running a marathon and lifting heavy objects. Furthermore, the heart along with the rest of the circulatory system can react almost immediately to changing situations such as standing up or lying down or when faced with a potentially life threatening situation.